Working with creative mathematical tasks is important for pupils both to reflect on mathematics as well as for their subsequent test results. Being faced with creative tasks during exercise has evident effects on all pupils, both on weak and high performers. This according to studies at Umeå University in Sweden. “The results of my dissertation show the importance for pupils to work with creative reasoning and not always get methods and rules presented in advance. This is something both publishers and teachers could take into account more often when designing mathematical tasks,” says Mathias Norqvist, doctoral student at the Department of Mathematics and Mathematical Statistics at Umeå University. The studies show that pupils at upper secondary school who work with exercises designed to encourage creative mathematical reasoning more easily remember what they have learnt and, as a result, perform better. “Contrary to common belief, it seems to be the low performing pupils who benefit most from practicing with creative tasks, in comparison to more imitative tasks where focus lies on how to use the given solutions,” says Mathias Norqvist. There is a great risk that pupils who are presented one method, will use it without further reflection. Although, there are of course certain methods in mathematics that should be automated to relieve the pressure on the working memory, but it should not come at a cost to the understanding of the underlying mathematics. Since well-designed creative exercises can focus on central mathematical properties, they are important for all pupils since they force pupils to reflect on the mathematics and to base their reasoning on what they already know. A total of about 300 upper secondary school pupils participated in the studies that formed the basis of the dissertation. The word dimension has a very specific technical meaning in mathematics and physics. It’s basically a number needed to specify something. For example the surface of a sheet of paper is two-dimensional because you can specify a point on the sheet of paper using the Cartesian coordinate system. You can specify the time and place of an event in the universe by using three cartesian coordinates for space and another number for time. This makes space-time four-dimensional and time is one of those dimensions. So answer time is a dimension. But this isn’t the science-fictiony thing some people expect. It just says you can specify a time using a number. That’s it. But knowing that it takes four numbers to specify an event doesn’t change anything. By definition of past, present and future, the past and future don’t exist simultaneously with the present. However, it does give you an interesting mental picture. If space-time is four-dimensional, and a sheet of paper is two-dimensional, you could imagine the universe laid out as a diagram on a(n imaginary) four-dimensional sheet of paper. You can sort of imagine the past, present and future existing simultaneously in such a picture. What’s more, such a picture is quite useful sometimes when doing physics. But imagining a picture doesn’t literally make the past simultaneous with the future. Answer by Dan Poponi to the question If time is a dimension, is it correct to say that the past, present, and future exist simultaneously? ‘Mathemagician’ who popularized maths and debunked pseudoscience. From the mid-1950s to the early 1980s, perhaps the most well-known section of Scientific American was the ‘Mathematical games‘ column of Martin Gardner. In recognition of its success, three eminent mathematicians dedicated their 1982 book Winning Ways for Your Mathematical Plays to Gardner, who, they wrote, “brought more mathematics to more millions than anyone else”. Yet Gardner was not a mathematician. His only degree was in philosophy. Gardner, who died on 22 May , aged 95, was born in Tulsa, Oklahoma, to a devout Methodist mother and an oil-geologist father. He was drawn to mathematics, science, magic and writing at a very young age, and published a ‘New color divination’ in a magic journal at just 16. He wanted to go to the California Institute of Technology in Pasadena, but in the 1930s entry to Caltech required the completion of two years at a liberal-arts college first. Instead, Gardner went to the University of Chicago in Illinois and studied philosophy, graduating in 1936. After various jobs, including assistant oil editor for The Tulsa Tribune, and four years in the navy, Gardner returned to Chicago and began writing short stories for Esquire, spending much of his spare time inventing, demonstrating and selling magic tricks. In 1947, he took a post in New York as editor of Humpty Dumpty, a children’s magazine, and in the same year wrote an article on logic machines for Scientific American. In the early 1940s, four graduate students of Princeton University, including Richard Feynman, had found a way of folding a paper strip into a hexagon that could then be manipulated to show different hexagonal faces. Gardner heard about these ‘flexagons’ and drove to Princeton to talk to the two students still there. His article about flexagons was accepted by Scientific American for the December 1956 edition, and, as a result, in the following issue Gardner began his ‘Mathematical games‘ column with an article on magic squares. His lack of formal mathematics training turned out to be his forte — working slowly and carefully through the ideas helped him to explain them. Gardner’s column, which ran for 311 issues over 25 years and was collected into 15 books, soon became the main outlet for new and offbeat mathematical ideas. Enthusiastic readers sent letters pointing out corrections, new results and suggestions for further columns. Gardner replied to most of them himself, luring many young people into mathematical careers. His expositions turned numerous games and objects into fixtures of Western culture: the board game Hex; the Soma-cube puzzle; the ‘polyomino’ shape commonly used in puzzles; the computer game Life; even Roger Penrose’s non-periodic tilings of the plane, which in turn have led to ‘quasicrystals’ and even to non-periodic pattern designs on toilet paper! Gardner also popularized Penrose’s ‘impossible staircase’ and ‘impossible triangle’, or tribar — an apparently solid object made of three straight square beams that meet at right angles at the vertices of the triangle. Gardner’s greatest scoop occurred when the cryptographer Ronald Rivest told him of his work on trapdoor ciphers — ways of encoding and decoding information that provide the secure encryption and public-key cryptography now used to hide information in almost every form of electronic communication. From 1977 until 1994, the CIA attempted to suppress the export of such encryption methods. But Gardner’s article, published in August 1977, had already provided a detailed description of the techniques. In 1952, Gardner published In the Name of Science (later renamed Fads and Fallacies in the Name of Science). In this seminal book on debunking pseudoscience, he exposed many fallacies, including theories that the Earth is flat or hollow, and various pseudoscientific speculations regarding pyramids, phrenology, UFOs and creationism. He was a founder of the Committee for the Scientific Investigation of Claims of the Paranormal — now the Committee for Skeptical Inquiry. Later, he was a regular contributor to the committee’s journal, the Skeptical Inquirer, producing the monthly column ‘Notes of a fringe watcher’ from 1983 to 2002. Gardner’s playfulness was irrepressible. In April 1975, he devoted his Scientific American column to “recent but little known” results: Fermat’s last theorem and the ‘four-colour problem’ (in which only four colours are needed to colour the shapes on a map so that no adjacent regions are the same colour) had been disproved; a lost drawing of Leonardo da Vinci revealed that Leonardo had invented the flush toilet; and the mystery of how to win at chess had been resolved. An amazing number of readers were taken in. He also compiled two booklets of ‘obscene magic tricks’ — not easy to obtain. Gardner’s extensive writing, even his pranks, endeared him to his followers. 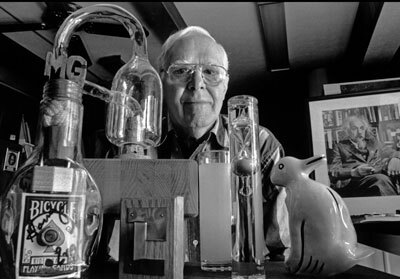 Tom Rodgers, a puzzle collector and philanthropist, organized an exhibition of puzzles for the opening in 1993 of what is now the Museum of Design Atlanta in Georgia, with an accompanying conference to honour Gardner. This was so popular that ‘Gatherings for Gardner’ have occurred in Atlanta every two years since. Several hundred mathematicians, magicians and sceptics show up, and many more have to be turned away for lack of space. Martin is one of the few people who has earned the phrase ‘We shall not see his like again’. Certainly, with or without a computer, few people have bridged the ‘two cultures’ so successfully. Jerome Bruner said somewhere that an educated man must not be dazzled by the myth that advanced knowledge is the result of wizardry. Unfortunately, mathematicians and educators conspire to maintain this myth for mathematics. Students don’t want to understand why it works: they only want to know how to use it. Mathematicians don’t want to make the effort to explain their field to laymen; they are content to do their research and talk to other experts. The result, predictably, is a public perception of mathematics as inexplicable and arcane. 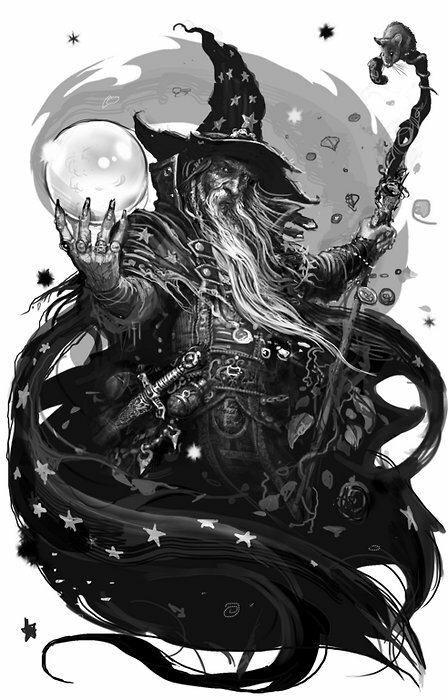 In alchemy, the arcane represented a profound secret of nature. Indeed, in this age, most profound secrets of nature are expressed in mathematical terms. Because the alchemists always associated great mystery with the arcane, it soon came to symbolize as well an elixir, a type of marvelous remedy. The same thing has happened in this age: many scientists, especially social scientists, find that the best remedy for an ailing theory is a mysterious dose of numbers and statistics. Mathematics provides for soft science what one mathematician described as “mystification, intimidation and an impression of precision and profundity.” Mathematics is the elixir of the scientific age. Despite the significance of the mathematical sciences in our technological society, the distance between the research frontier and public understanding is probably greater in mathematics than in any other field of human endeavor. In virtually all other areas of science, the educated public is aware in a rudimentary fashion of major twentieth century contributions: most people have at least a vague understanding of black holes, genetic engineering, and microprocessors, even though they neither understand nor care to understand such things in detail. In contrast, public vocabulary concerning mathematics is quite primitive: it is not a decade, not a century, but a millennium out of date. Explaining what is actually happening in contemporary mathematical science to the average layman is like explaining artificial satellites to a citizen of the Roman Empire who believed that the earth was flat. The typical public attitude towards mathematics is an anomalous mixture of disinterest and awe. Although the average citizen speaks in wondering tones about his genius nephew who scored 800 on his mathematical aptitude test, he appears proud of his own ignorance of things mathematical: “I never did understand percentages.” Even well-educated people who wouldn’t dare admit in public that they have never heard of Keynesian economics will brag of their lack of understanding of statistics or calculus. By and large non-mathematicians do not value mathematical knowledge enough to regret their ignorance of it. For the most part, the average citizen is content to leave its arcane workings to an inner sanctum of wizards. Modern math is like a pyramid, and the broad fundament is often not fun. It is at the higher and apical levels of geometry, topology, analysis, number theory, and mathematical logic that the fun and profundity start, when the calculators and context-less formulae fall away and all that’s left are pencil and paper and what gets called “genius,” viz. the particular blend of reason and ecstatic creativity that characterizes what is best about the human mind. To see MathJax in action, visit your favorite Journal of Mathematical Physics article and select the Read Online option. Once in the HTML view, go to the navigation bar and turn on MathJax. From there you can copy and paste any equation into your favorite MathML-enabled editor. The authors study the BCS gap equation for a Fermi gas with unequal population of spin-up and spin-down states. This is the continuation of recent studies where the BCS gap equation in the balanced case for systems with general pair interaction potential V was investigated. The authors find that for cosh (δμ/T)⩽2, with T the temperature and δμ the chemical potential difference, the question of existence of non-trivial solutions can be reduced to spectral properties of a linear operator, similar to the unpolarized case studied previously. The authors derive upper and lower bounds for the critical temperature, and study their behavior in the small coupling limit. The authors attempt to prove that for quantum lattice systems in d⩽2 dimensions the addition of quenched disorder rounds any first order phase transition in the corresponding conjugate order parameter, both at positive temperatures and at T=0. For systems with continuous symmetry the authors extend the proof up to d⩽4 dimensions. The authors achieve the extension of the proof to quantum systems by carrying out the analysis at the level of thermodynamic quantities rather than equilibrium states. The author studies the vortex dynamics of Euler's equations for a constant density fluid flow in R4 with special focus on singular Dirac delta distributions of the vorticity supported on two-dimensional surfaces (membranes). The self-induced velocity field of a membrane has a logarithmic divergence. A regularization done via the LIA then shows that the regularized velocity field is proportional to the mean curvature vector field of the membrane rotated by 90° in the plane of normals. The author also presents a Hamiltonian structure for the regularized self-induced motion of the membrane. The dynamics of the four-form ω ∧ ω is examined and it is shown that Ertel's vorticity theorem in R3 , for the constant density case, is a special case of this dynamics. The authors adopt the concept of the composite parameterization of the unitary group U(d) to obtain a novel parameterization of the special unitary group SU(d), and furthermore, consider the Haar measure in terms of the introduced parameters. The authors show that the well-defined structure of the parameterization leads to a concise formula for the normalized Haar measure on U(d) and SU(d). The stochastisation hypothesis aims to provide a framework to deal with physical systems in random environment.It is applied here in two different cases: in the study of the dynamics of a protoplanetary nebula and in the chaotic long-term behaviour of a generic planetary system using previous works of Albeverio et al.